In a demonstration of its continued confidence in the Egyptian economy, the National Automotive Company (NATCO) celebrated the opening of the largest 3S facility for Mercedes-Benz sales, service and spare parts in Egypt. 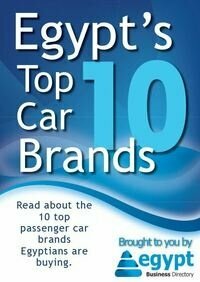 We talked to Yousri Ismail, Giza National Automotive’s, General Manager about what this new step will bring to Egypt. The new world class facility is located in Pyramids Heights, a suburb of Giza. The facility belongs to NATCO’s subsidi¬ary, Giza National Automotive (GNA) which was estab¬lished in 2001 and is responsible for almost 40% of the distri¬bution of the German luxury brand Mer¬cedes-Benz in Egypt. With 25 years of success in Egypt under its belt, NATCO, owner of the distribu¬tion network for Mercedes-Benz, has long been a proud partner of this global luxury car brand. The opening of this facility is a tribute to the company’s achievements in the Egyptian automotive market. The new GNA facility at Pyramids Heights is built to world-class de¬sign standards and is equipped with the latest technical capabilities. Located on the Cairo-Alexandria Desert Road, the facility consists of five floors spread across an area of 17,000 square meters, and boasts an impressive 1,000 square meter state of the art showroom where customers are welcomed and where they can test-drive new cars. This is in addition to specialized halls where meetings and press confer¬ences are held. Mercedes-Benz and GNA customers ex¬pect and deserve only the highest quality service. This is exactly what they will be getting at this automotive sales and serv¬ice center which is managed according to highest international standards and which provides innovative and integrated solu¬tions covering finance, sales, after-sales, and maintenance services.